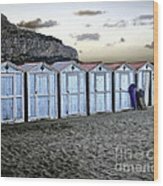 John, it is nice to know that this photo is featured in the group Images That Excite You. K Hines, it is nice to know that you made this one of your favorites. It is one of my own favorites. Thanks so much Rebecca. I appreciate the L/F as well. I am especially appreciative of your feedback on facebook. I can't understand why I couldn't get the photo on there. 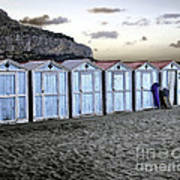 I love these little beach cabanas-we we had them around here!! Beautiful capture! Thanks Judy! Your thoughts mean a lot!! K Hines, I am delighted that you made this photo one of your favorites. I am delighted, Frank, that you made this photo one of your favorites. Thanks! I am delighted you love this photo. David and Kristin, thanks for such wonderful comments. 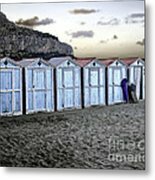 I fell in love with Mondello Beach and the cabanas which took on a life of their own. Beach bum city. :) Nice compo, Madeline, and good resolution for near dark. 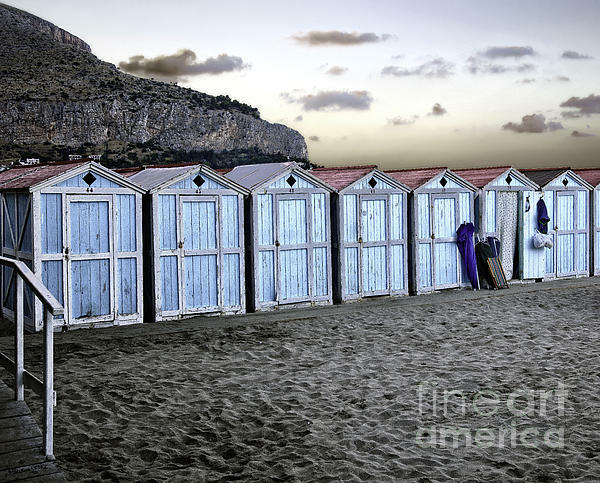 Another day ends on Mondello Beach in Sicily. A blue umbrella and a few other articles are visible in front of red roofed and blue door cabanas. The sky dotted with clouds completes the picturesque scene.